Flatliners - Available as a download or stream? 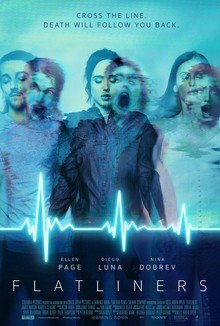 Danish director Niels Arden Oplev's remake of the 1990 film "Flatliners" will be released to cinemas in the United States on September 29th, 2017. It stars Ellen Page, Diego Luna, Nina Dobrev, James Norton, and Kiersey Clemons.